Discarded tie plate, trackside in South San Francisco. 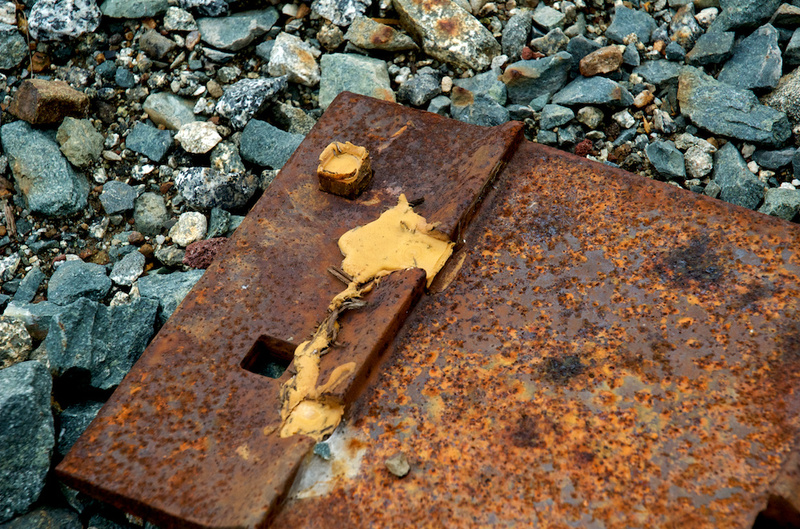 The oozy yellow stuff appears to be a weird phase of rust. Shot with the Nikon D70s and the 18-70mm f/3.5-4.5 zoom at 70mm, ISO 400, f/8, shutter 1/160 sec. Exposure, contrast, levels, and highlights adjustments in Aperture.